When I wrote to you last year I was very proud of our accomplishments together. Together we had served an astounding 6,016 students during that 2016/17 fiscal year. I figured it would be hard for us to top that this year but, thankfully, I was wrong. Together our 2017/18 fiscal year saw us serving an unprecedented 7,104 (an 18% year over year increase) student sailing days with our two operational tall ships, Irving Johnson and Exy Johnson. Sure the numbers are important but our students are so much more than just numbers, they are young people whose lives we deeply desire to impact positively. 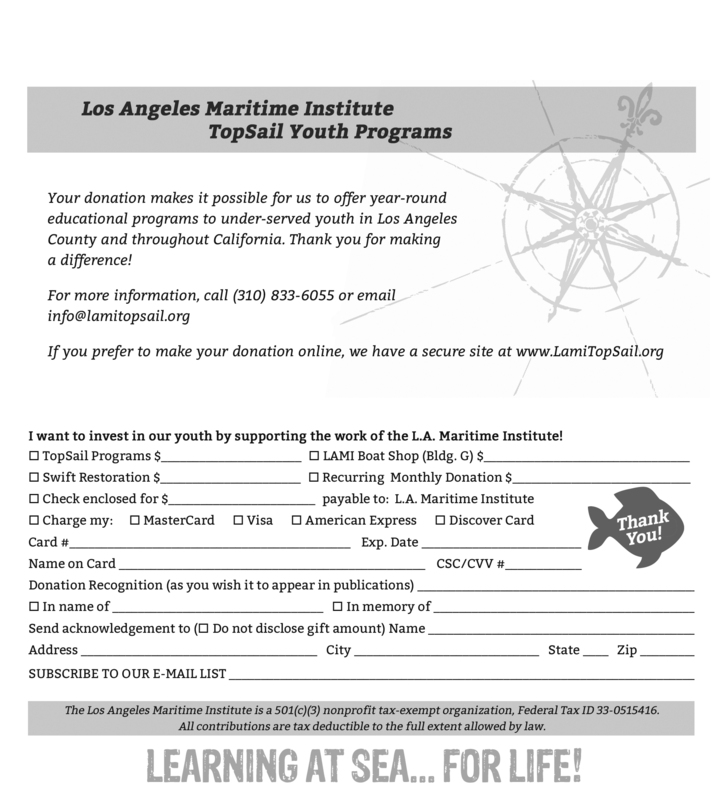 I was recently at a subcommittee of a local school’s board where I heard one of the mothers share the story of her sons who had participated in the Maritime Studies program of which LAMI, is the experiential provider. The mom went on to share that her sons hated school and would have rather been anywhere else. 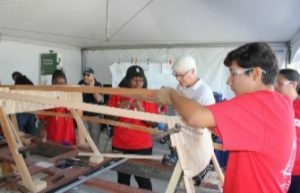 That is until they participated in LAMI’s Building G where the first semester students built a “stich and glue” sabot while second year students built an Opti using the strong back method. 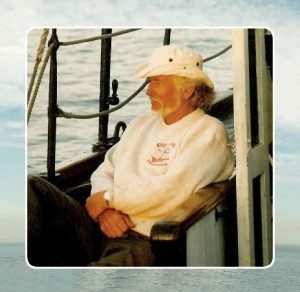 During the school year the students also went to sea on Irving Johnson 38 times. This program ignited a passion in both boys and resulted in them applying themselves enthusiastically to all of their school topics. We know our programs work and that is why we focus on the numbers. Our annual appeal is the single most important fundraising program we have each year and this year it is doubly important. We have set our sights on doubling the number of students we serve in the next couple of years. Given that we are at the practical limit of number of students we can serve with our existing two tall ships we are working to bring two more vessels on line. 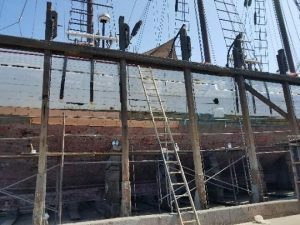 In Long Beach CA we have acquired the three masted schooner the American Pride from the City of Long Beach. At the same time, we are campaigning to raise the funds that will allow us to finally complete the restoration of the Swift of Ipswich. With American Pride coming on line early in 2019 we are already booking schools. Thanks to the generosity of many individuals we have come so very far on the restoration of the Swift of Ipswich. We currently have an open challenge match for $200,000 that must be met by the 15th of December from John and Randi Sanger. As I write this message to you we are hauling American Pride out for the second time this fall to make need repairs to her hull, rigging, masts, bowsprit, tanks, electrical, electronics…. 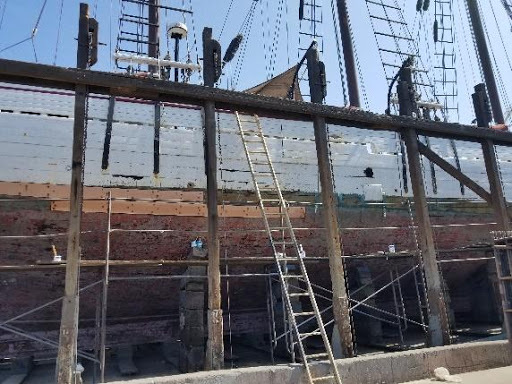 We are planning on having American Pride operational in January and will be kicking off the restoration of Swift of Ipswich during the same month. Both of these projects, along with continuing to serve over 7,000 students per year with Irving Johnson and Exy Johnson require financial support and we hope you will help during this annual appeal.